Out of all of the outfits that I wore and photographed over Thanksgiving weekend, this one might have to be my favorite. I love dressing up as much as the next girl, but on most fall days, you’ll find me in a sweater and jeans. 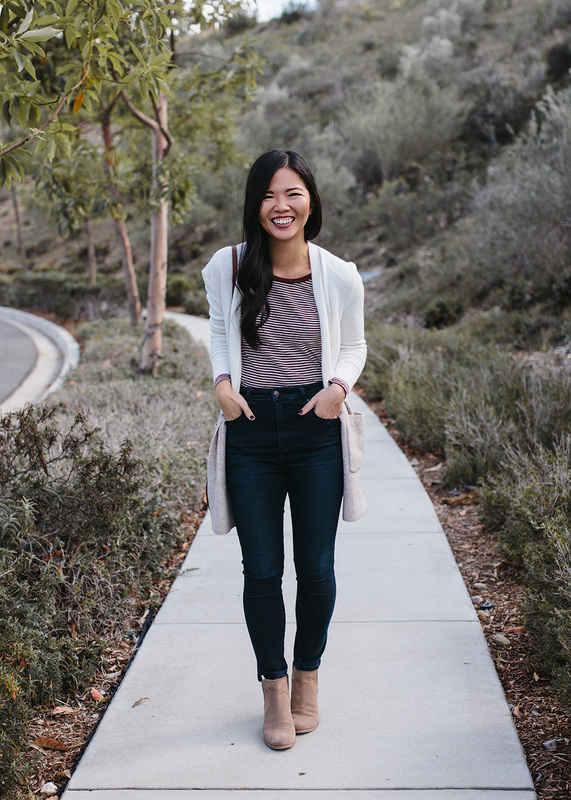 And I’m talking the stretchiest, comfiest jeans possible. I need an outfit that works for lunch with friends, running errands around town and dinner with the parents and this one fits the bill. 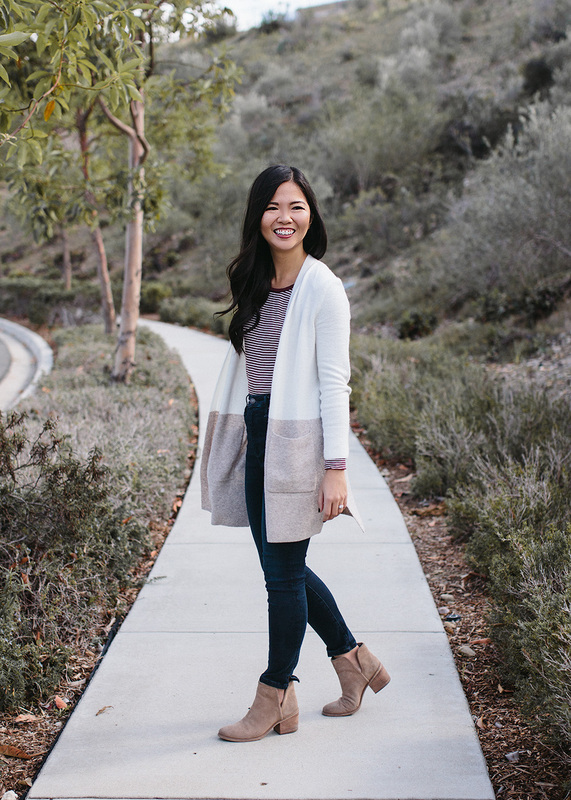 These days, you know I’m all about the neutrals, which is why it was love at first sight with this cream and taupe colorblock cardigan. 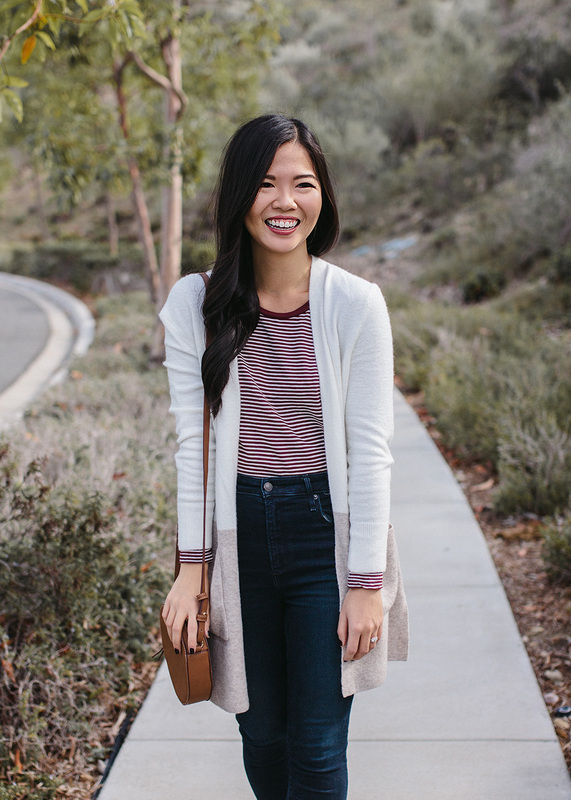 It’s true to size, super soft and the perfect layer for “winter” on the west coast. 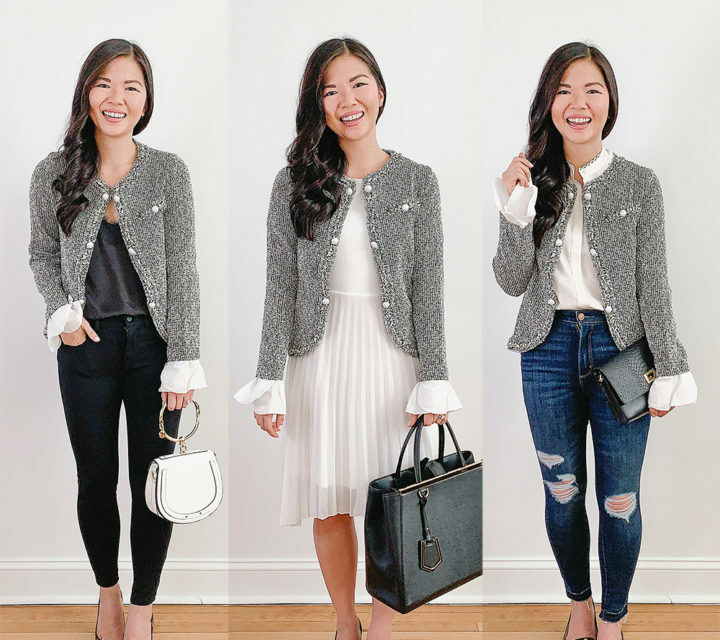 It’s a bit on the pricey side for a cardigan ($98), but I promise you that the quality and the fact that it goes with pretty much everything will make it well worth it! You look perfect and the cardigan is very pretty and cozy. Did you say stretchy jeans?! Oo I need to check it out! Love this casual chic look! That cardi looks so comfy. I’m in love with this outfit! 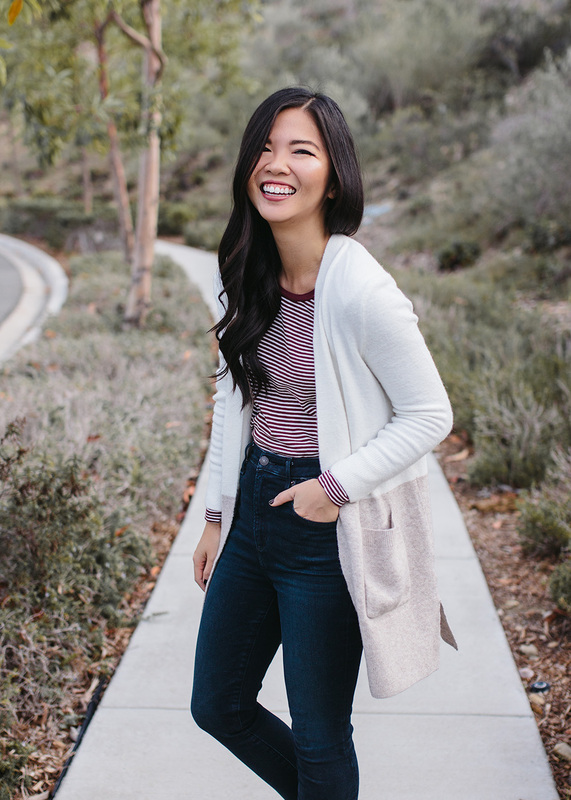 The cardigan is a great investment piece, it looks super versatile. I love this outfit! 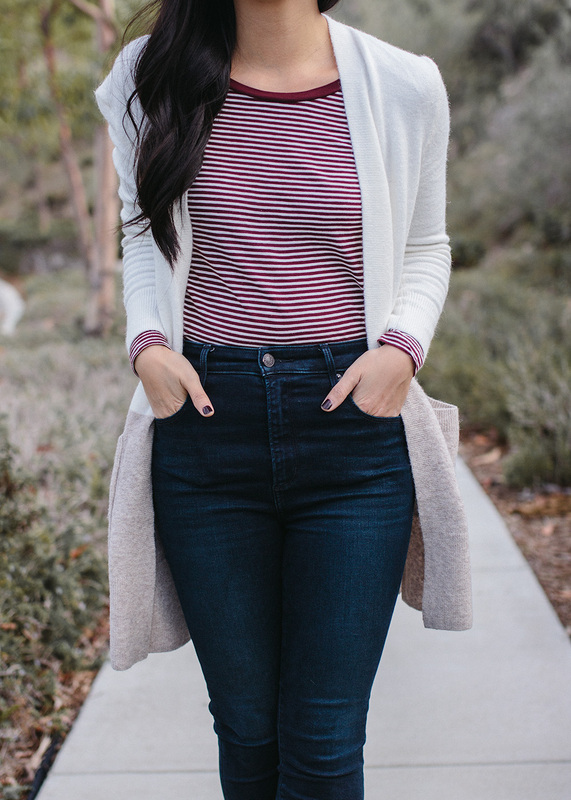 The striped top paired with the color block cardigan is such a beautiful combination! Also I’m loving those jeans…I love the dark wash! I love this outfit! 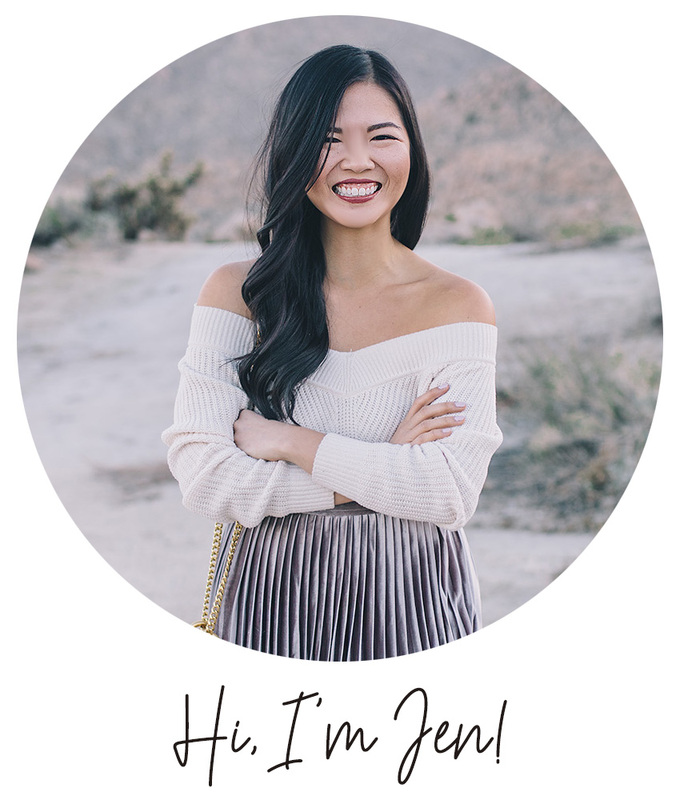 It has the perfect amount of interest with the colorblocking and striped top.